I have an older car, but it’s so reliable that I’d love to keep it running for as long as possible. 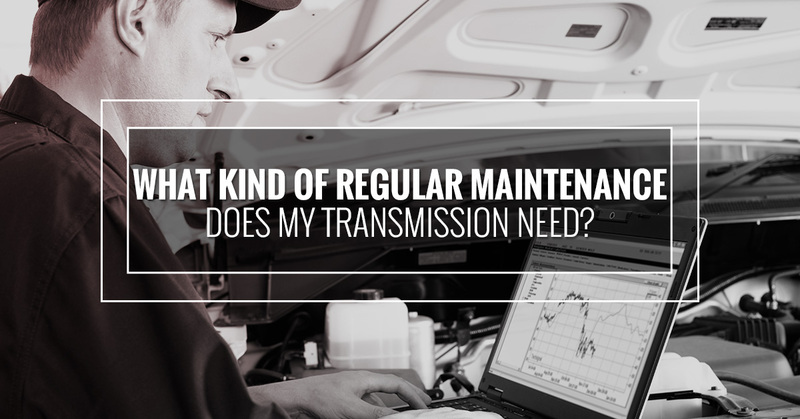 What kind of regular maintenance does my transmission need, and how often should I get transmission service? Here’s what you need to know about getting regular transmission service. Every vehicle is different, and every transmission has unique requirements. Don’t go along with a generic recommendation or a number that the “average” vehicle should adhere to. If you do, you could end up damaging your transmission or paying more than necessary for services that are unnecessarily frequent. What type of transmission fluid you should use. Let’s look at each of those items in detail. To check your transmission fluid, remove the dipstick and let the fluid soak into a white paper towel so that you can see what color it is. If it is brown, smells burnt, or has metallic flakes in it, you should not delay but get your transmission checked right away by a repair shop. The automobile manufacturers’ recommendations for how often you should change your transmission fluid range from every 15,000 miles to every 60-100,000 miles — or even never. In vehicles with a sealed transmission, they actually do not account for you ever getting a transmission fluid change done. Follow your owner’s manual. However, even in a sealed system, if the transmission goes bad, it can be important and necessary for an expert to change the fluid. A transmission fluid change will exchange only a portion of the fluid that’s actually in your complete transmission system. A flush will exchange all the fluid. The decision you choose to make should go back to your owner’s manual. Also, you should always be careful to stay ahead of your fluid turning dark and burnt. Transmission fluid is a lubricant and cleaner, and heat is the enemy of your transmission. If your fluid gets to the point where it’s dirty, gummy, and full of metallic particles before you change it, you are putting your transmission at risk of much more expensive repair. Other transmission service includes dropping and cleaning the pan, replacing the transmission filter, and potentially other items. MC’s Transmission can perform all types and levels of transmission service, from the most basic to the most detailed breakdown and repair. Transmission fluid comes in all different types and specifications, and you should only ever use the exact transmission fluid that your owner’s manual recommends. Different fluids have different viscosities and properties that will either keep your transmission humming or put it at risk of breaking down. When you need transmission service, count on the experts at MC’s Transmission to give you a repair job that is thoughtfully and carefully done. We treat your car like we would treat our own. Come on in today.